As America teeters on the brink of world war, Charmian and her husband, famed novelist Jack London, wrestle with genius and desire, politics and marital competitiveness. Charmian longs to be viewed as an equal partner who put her own career on hold to support her husband, but Jack doesn’t see it that way…until Charmian is pulled from the audience during a magic show by escape artist Harry Houdini, a man enmeshed in his own complicated marriage. Suddenly, charmed by the attention Houdini pays her and entranced by his sexual magnetism, Charmian’s eyes open to a world of possibilities that could be her escape. I finished this book about a week ago and still thinking about it and pondering my review. I knew nothing about the life of Jack London and I’ve never even read any of his books. But I do have a fascination with reading books about the partners/spouses of well-known historical figures. I feel they give a clear and different viewpoint of their lives. 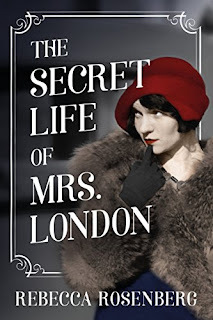 With The Secret life of Mrs London I know it is fictionalized but still makes for entertaining and educational reading. This is one of those books where I struggle with what to say. To say it bluntly at times I really didn’t like some of the characters especially Jack and his wife, Charmian. Charmain, the second Mrs. London (he divorced first wife for her) and also an author though not as widely known as Jack. She did everything for him from being his typist, editor and so much more. This book is written in first person, the reader is able to get inside of Charmian‘s head to get a vivid picture of her struggles. She lives in a time where free love and woman’s right were unheard of - things she was passionate about. 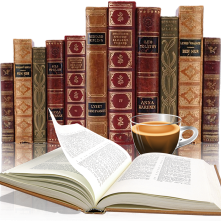 She wants more out of life but Jack thinks only of himself and schemes to make money between books. The Secret Life of Mrs. London is a well written book and true to the times it portrayed. The role of Harry Houdini here was very interesting and their connection together added much to Charmian’s character. I liked how Charmian's story did not end when Jack's did. My interest in reading not just some of Jack London's books have peeked as those by Charmian also. Thank you to the author for an advanced copy of this book (in exchange for an honest review). This book releases January 30th and available for preorder now.